Street Invoice is an easy way of managing your business on the go. Create an invoice from your mobile device, anytime and anywhere. Record work that was done as soon as it was completed. Use the Item list for quick access to frequently used products or services. Enter customer information for your invoice right in Street Invoice or pull contacts from your phone. Record payments, and send professional invoices instantly. Send via email, SMS, chat, or even print right from your mobile device. See beautiful reports of your sales, which you can customize to get just the data you need. More advanced features include tracking costs and profit for each items. Send automatic monthly statements to your customers. Needs Barcode Input Field for product (unless you use the "Product Name" field for SKUs and.or Barcodes) (and a Barcode Scanner) Could do with an image utility for products Needs Product Fields for Brands, Suppliers details (with exception of "Cost" field , and labelling custom pricing levels instead) Could do with an App section for Brands, and Suppliers Would be useful to be able to distinguish between Labour Products and Physical Products Would be great to have timed hourly services, expense items (taxabe or tax deductable).~~ Would be nice to have a Orders in with Good received Forms/Section including postage costs. Plans start at $4.99 a month. There is also a free plan available. How does Street Invoice compare with other Finance & Accounting apps? Street Invoice helps you get paid faster and get quick insights into your business financial stating. Impress your clients with beautiful professional invoices. Street Invoice is pocket friendly, so you can get your business organized, and stay productive and connected on the go. Leave the paper invoices at home! Below are some frequently asked questions for Street Invoice. Q. What type of pricing plans does Street Invoice offer? Q. Who are the typical users of Street Invoice? Q. What languages does Street Invoice support? Q. Does Street Invoice support mobile devices? Q. Does Street Invoice offer an API? No, Street Invoice does not have an API available. Q. 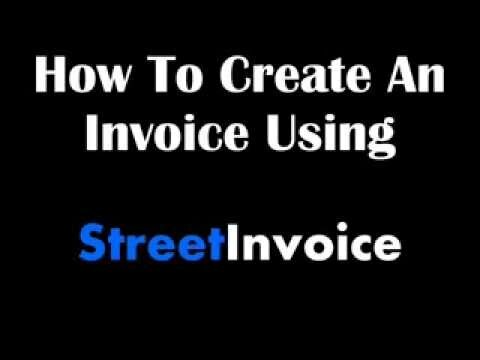 What other apps does Street Invoice integrate with? Q. What level of support does Street Invoice offer? Q. Which apps is Street Invoice compared to most often?